Legends of Equestria is now recruiting and REMINDERS! I would like to remind you all that we are opening the servers in 5 days, on the first minute of the 24th, EST! THE GAME WILL BE AVAILABLE TO DOWNLOAD ON THE 23rd, BUT THE SERVERS WILL NOT BE OPEN UNTIL THE 24th AT 12:01 AM Eastern Standard Time. This is so you can start playing the minute the servers open and everyone can have enough time to download the game. Also, Legends of Equestria is now recruiting! If you're interested in game development, passionate about ponies, or simply need a hobby which will put your talents to use, please feel free to send us an email! We are currently accepting applications for the following departments: Concept Artists, 3D Modelers/Animators, Texture Artists, Public Relations, Server Managers, Programmers, and Web Designers. All applicants must be at least 16 years of age. Applicants must have excellent writing and social media skills. Knowledge of journalism, social media analytics, and public speaking optimal, but not required. In order to apply for a public relations position, please email [email protected] with a short writing sample explaining your qualifications and drive. Thank you for reading, and can't wait to see you at the open server! The servers are now open! The open server weekend is finally upon us, everyone! You may now log in to the game and play! Here is the Google Drive folder containing all of the game builds at the moment. Sign in with your username and password that you use on the forums, and there you go! The servers that you can play on are Levade, Ballotade, Capriole, Piaffe, and Croupade. If you are livestreaming the game, making a video, event, or fanart, you can feel free to post about it in the thread for it here: http://forum.legendsofequestria.com/index.php?topic=9902.msg751301#msg751301 and you may be shared on the Legends of Equestria Twitter, Tumblr, or Facebook! Getting the game, how to play and fun things to do! Hey there! 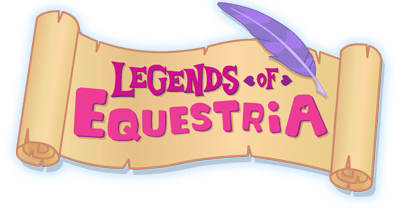 Are you excited to play Legends of Equestria? Here is the Google Drive folder containing all of the game builds at the moment. We will continue adding to this folder throughout the day. Please note that when you click on an icon, the "error" is just for the file preview. Click on the Download button in the lower right. Earth Ponies have Seismic Buck, Unicorns have Rainbow Fields, and Pegasi have Dual Cyclone! All three races have Ground Pound. Legends of Equestria appearing on Bronyville Podcast! Legends of Equestria will be featured on the January 11th episode of Bronyville! Bronyville is a popular pony podcast which has featured many notable guests! In their own words, "Join two bronies, Apple Cider and Chef Sandy, as they discuss episodes, culture, community events, and a ton more." Legends of Equestria and Bronyville will be talking about many interesting aspects of the game and of game development, as well as chatting about the upcoming open server. Legends of Equestria appearing on Pwnies for a Cause! Hello everyone! 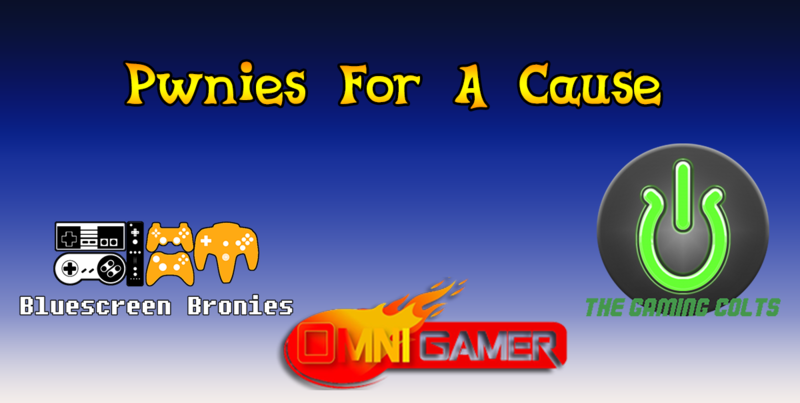 Today I would like to tell you about an amazing event our friends at BlueScreenBronies, Omnigamer, and Gaming Colts are putting on. We will be featured on the stream tomorrow in an interview and showing off the game, Saturday the 21st of December at 3pm EST! I hope you all can make it! Attention Gamers, Bronies, & Brony Gamers!? Our show, "Bluescreen Bronies" is hosting our second annual charity drive, this year's charity is "Child's Play" with a goal of $3000! To accomplish this we will be streaming live 48 hours of gaming, interviews, and musical guests beginning Friday, December 20 9PM EST continuing through Sunday, December 22 9PM EST. This time we'll have help from the Gaming Colts (http://www.thegamingcolts.com/) and Omnigamer (http://www.omnigamer.com/)! Guests like Anneli Heed, Josefina Hylen, Laura Shigihara, Chris "Kirbopher" Niosi & the TOME Cast, Amy Keating Rodgers, and more will be joining us as well as some great bronies and independent studios, such as Starlight Studios and Legends of Equestria. There just so many wonderful people that are attending, we would like to extend our thanks to them. In addition, there will be scheduled prize giveaways at both random and regular interval which include, but are not limited to, SteamCash, video games, random prize packs, and more! Come join us for an exciting 48 hour stream that will not only entertain you, but torture Draco for Charity! That's right Draco will be playing Superman 64 for a full hour, willingly! He's crazy about this cause people so help him by donating as much as possible! May the Season's Warmth be with you all! Thanks for reading, everyone! Hope to see you there!